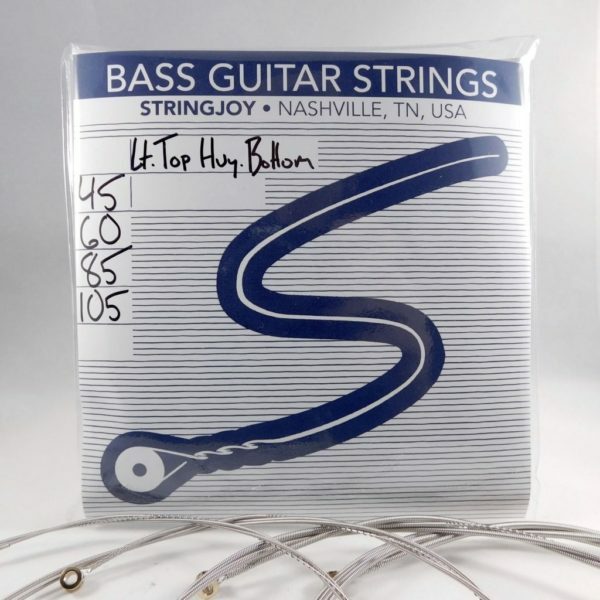 This Light Top Heavy Bottom set is the best of both worlds when it comes to bass guitar strings. The top ones will give you snappiness reminiscent of Indiana Jones’ whip, while the low strings will give you enough power to name your amp “The Temple of Boom” thanks to the round core-wire that we use in all of our bass strings. If you’re looking for a set that even Jonesy would be proud of, then I think it’s safe to say you’ve stumbled upon the Holy Grail of bass guitar strings. Oh, and you don’t have to worry about any ghosts or lightning bolts emerging from the box. We made sure to leave those out. >> Greg from Ewa Beach, Brandon from Villas & 23 others bought this item recently.